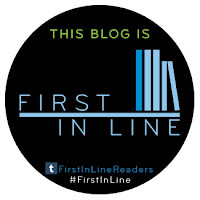 Today I have an awesome "10 Random Things" guest post by Eric Devine! 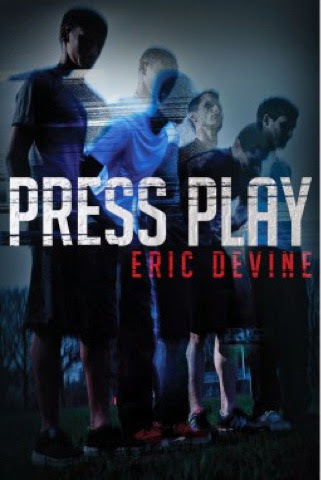 Also, enter to win a finished copy of Press Play! When I was seven or eight, I cut off the pad of my sister’s middle finger while reenacting Jawswith a pair of scissors. It’s okay, she has an awesome scar now. I once spent Christmas through New Year’s in Disney with my in-laws. I’m still traumatized. Since childhood I have always wondered why Winnie the Pooh doesn’t wear pants, but he wears a shirt. At parties in high school I was fond of “going to sleep” in bath tubs. I did not enjoy how much I hurt the next day. My wife and I forgot that we were supposed to get each other wedding gifts, and so while on our honeymoon in New Orleans, we decided to get a dog. She’s now a 12-year-old chocolate lab named Nola. My daughters and I love the show Gravity Falls so much that this weekend we are carving Jack O’ Watermelons, a la “Summerween”. The other day, one of my students told me I looked like Steve from Blue’s Clues. I wanted to cry. I have another dog, who is a Labrador mix. Mixed with what we didn’t know until she was full grown. We think overweight goat. Last winter, my seven-year-old daughter and I made zombie snowmen, complete with ripped apart Ken and Barbie dolls as victims, covered in fake blood. My wife and I have been together since we were 16, and only recently did I discover that we both love crunchy peanut butter. Leave a meaningful comment on this post and include your email address or twitter username so that I have a way to contact you if you are the winner! Must be at least 14 years of age to enter or have permission from a parent or guardian. One winner will be randomly chosen from all eligible comments on 10/28/14. We got our dog as a wedding gift to us as well. She was a wonderful dog. I love that you spread the spookiness throughout the year with your zombie snowmen and Summerween (totally stealing that, btw). And congratulations on Press Play's publication tomorrow - can't wait to read it!